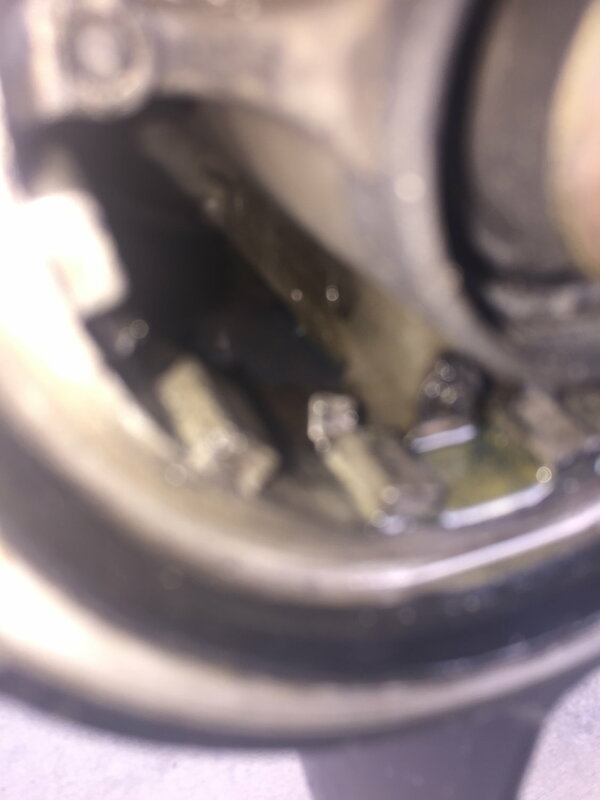 I have twin 2012 Suzuki DF 300s that have given me both lower unit issues. Both lower units mainshaft have snap clean off in the past year. First one was replaced with a new one under warranty in June . Second lower units main shaft snapped this past August. 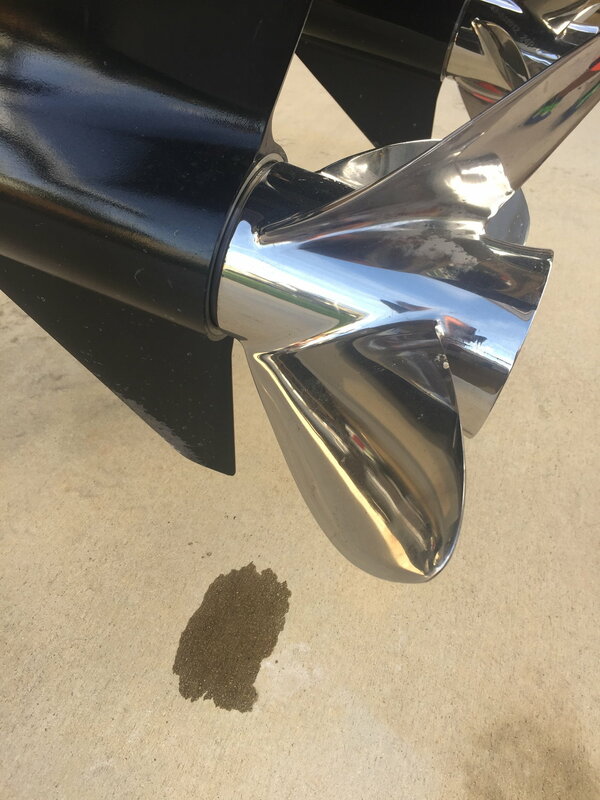 Mike from international Marine repaired this lower unit now out of warranty with a new shaft and seals and since then it has been used on one trip to the Bahamas. Yesterday i I was walking around the boat and found a small oil spill right under the lower unit skeg. 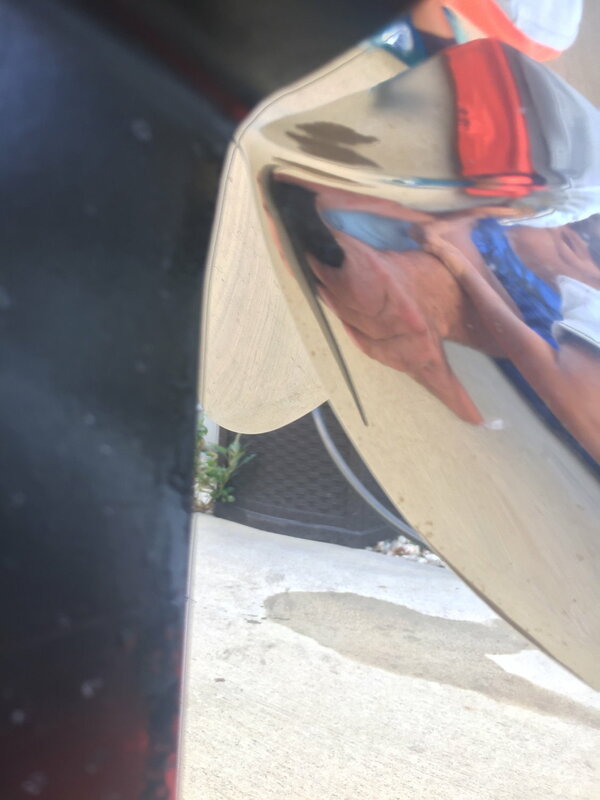 The oil is coming out of the exhaust just in front of the prop. It is not a large leak however it is definitely leaking out oil. I have washed the lower unit twice and still oil returns. what can I do and what can this be? Last edited by RAMY; 11-07-2018 at 08:43 AM. the leak starts way inside the Exhaust. At least that’s what it looks like to me. I can’t see any oil around the shaft itself. Bust I see oil way inside. Is there a Seal further back in the exhaust? Does it smell like gear oil or motor oil? 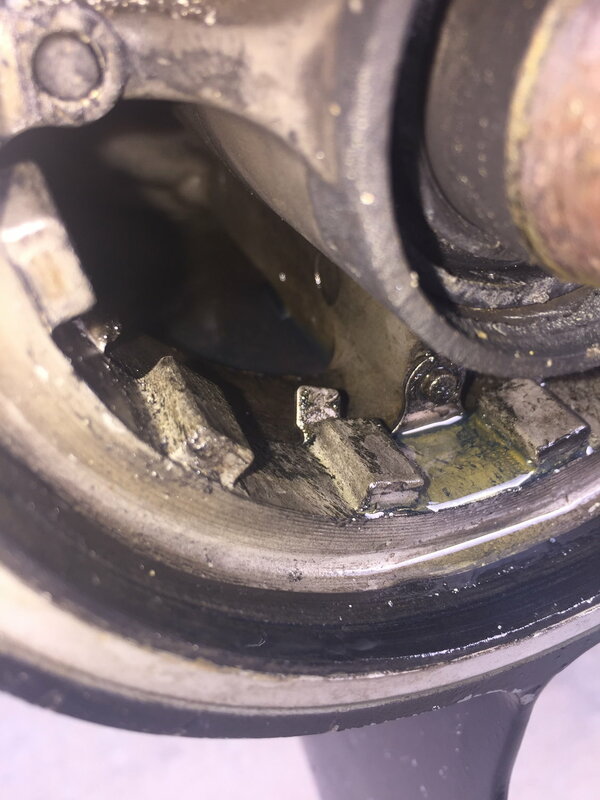 Something similar happened to my buddy's Suz 140 and it was the crankshaft that was leaking leading to low oil alarms and a sloooow trip back home on one motor. i would check the oil level on both. Give it the sniff test to determine whether it's gear oil or engine oil. If engine oil, maybe there's a leak or spillage under the cowling and it's finding its way down. Hard to think how that could be lower unit oil unless the engines are tilted up? Even then hard to think what is happening. I would drop the lower unit and check the drive and shift shaft seals.Still not sure how that ends up in the exhaust but I guess it might be possible. Dropped the lower today. No signs of oil in the mid section at all. Not even on the top side of the lower. My guess is when the main shaft was replaced and the seal in the Exhaust was replaced it perhaps didn’t seal correctly. I don't know squat but that is the clearest lower unit oil.